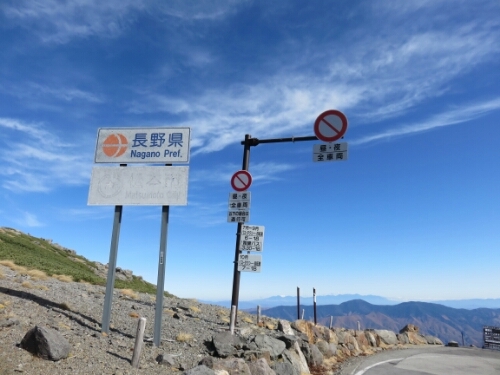 The Norikura skyline is Japan’s highest road peaking at 2702m, it’s also a beautiful cycle. Unfortunately due to it’s altitude the road is not open all year round. As far as I can make out, according to the above sign, it’s open for bicycles from July to September from 6:00 to 18:00 and in October from 7:00 to 18:00. The only other vehicles permitted are taxis and buses meaning the road should be fairly quiet. While there is a toll for motorised vehicles I didn’t have to pay one on a cycle. The two main cities you can approach the summit from are Takayama or Matsumoto. I came from Takayama. There is a long climb to the start of the skyline and from the beginning to the summit it’s about 14km without much let up. The road is labeled as the Norikura Skyline on Google and as route 5 and 84 the entire skyline is on good sealed tarmac. The skyline starts at an elevation of about 1600m and goes up to 2700m over 14km giving an average elevation of about 8%. There is a rest stop or two on the way to the summit with toilets but not much else. At the peak of the road there looked to be shops, a restaurant and what was possibly a hotel. 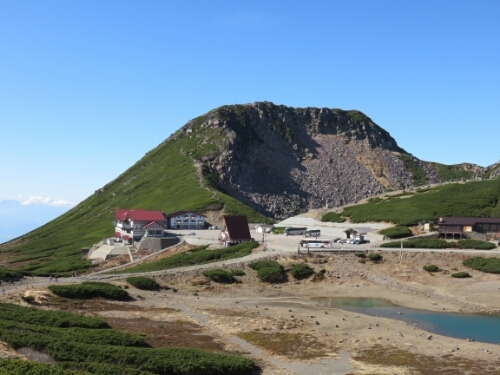 The high point of the road is not actually Mount Norikura’s summit. This can be reached by foot and is a further 300m of climbing. You can ride on unsealed paths to the start of the walk to the peak if your bike can handle it. The hike to the peak is 40 to 50 minutes. 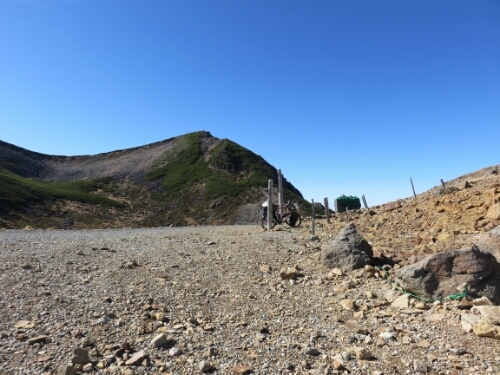 Mount Norikura is high enough for altitude sickness. On a touring bike it was more than one days ride from Takayama to Matsumoto.